Oil and gas brand Shell will bring back its 'Make the Future Live' event to London's Queen Elizabeth Olympic Park from 25-28 June. The event aims to celebrate ideas, inventions and innovation and will encourage guests to get involved with a range of interactive activities and challenges that each explore the future of energy. 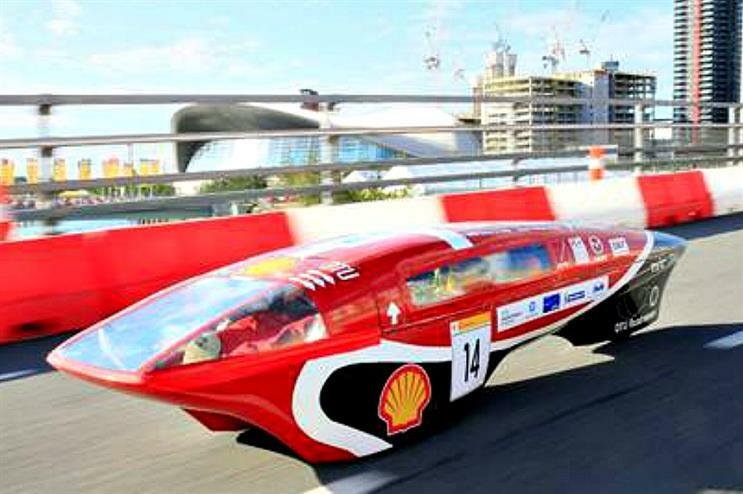 Visitors will be able to watch futuristic and fuel-efficient vehicles from 170 European university teams battle it out in the Shell Eco-Marathon. Guests will also be treated to a live music performance from Alesha Dixon. New this year will be the Make the Future Live - Lates, a special after-hours event for those over 18. Guests will get to watch an exclusive live podcast recording on stage by debate platform Intelligence Squared, comedian Richard Ayoade, the Gadget Show's Jason Bradbury and a panel of experts. The topic of discussion will be how London could become the first carbon neutral city by 2050. The first Make the Future Live event took place last year, and featured more than 15,000 sqm of technological activities. More: In February, Shell appointed sports and entertainment agency Octagon to deliver a number of brand experiences as part of a wider global campaign.